The highly successful launch of Apple Pay on the iPhone 6 and iPhone 6 Plus has helped to grow the long-established Google Wallet service, as both rely on the same near-field communication technology for tap-to-pay functions. NFC-based terminals compatible with Google Wallet have been in stores for years, but haven't seen much adoption from Android users. But with Apple Pay entering the scene, and offering compatibility with many of those existing NFC terminals, Google Wallet has seen considerable growth in recent weeks and months. Citing an unnamed source, Ars Technica reported on Wednesday that Google Wallet transactions have grown by 50 percent in recent months. 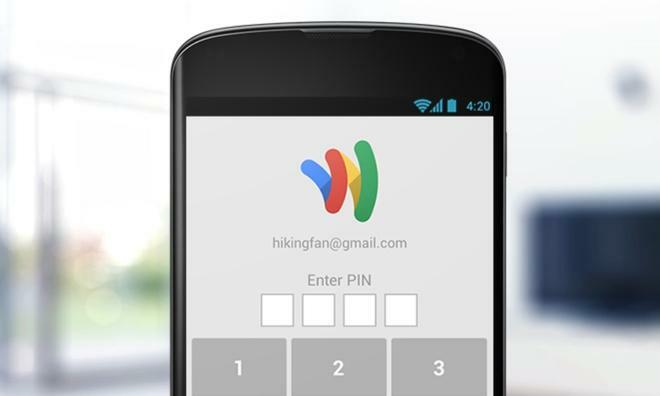 In addition, new users to Google Wallet are said to have nearly doubled. Google Wallet has been around since 2011, but has failed to gain mainstream adoption from Android users. But the figures reported Wednesday would suggest that the launch of Apple Pay has helped drive consumer interest in NFC payments in general. In its first 72 hours of availability, Apple Pay hit over 1 million activations, which was more than all other competitors combined— including Google Wallet. In just three days, Apple Pay became the largest contactless payment system in the U.S., more than the combined total of cards registered with competitors. Attention to all NFC tap-to-pay functions has increased in the wake of the Apple Pay announcement, which came in early September. Apple Pay officially launched in October on the iPhone 6 and iPhone 6 Plus with the release of iOS 8.1. Though Apple had a number of launch partners for Apple Pay, the system also works with some non-official NFC terminals, as they rely on the same basic technology for authorizing transactions. Apple's system is different from Google Wallet, however, thanks to its reliance on the Touch ID fingerprint sensing system, allowing users to verify purchases securely without the need for a passcode. Apple Pay also allows users to input their existing credit cards, and receive their usual points and rewards for using those cards. Apple has also partnered with banks to enhance security, ensuring that the user's credit card number, account number and other sensitive data are not stored on the iPhone itself or shared with merchants. Instead of using the actual credit or debit card number, Apple Pay assigns a unique encrypted "Device Account Number" on the iPhone. The number is stored in a "Secure Element" dedicated chip on the handset, and is never stored on Apple Servers. And in a rare unified showing from both iOS and Android users, consumers have lambasted merchants such as Walmart, CVS and Rite-Aid for blocking all NFC-based payments following the launch of Apple Pay. Those stores are planning to launch their own bank-connected QR code payment system dubbed CurrentC in 2015, which they hope will decrease consumer use of credit cards and allow them to avoid the associated transaction fees.